ADHD is one of the most commonly diagnosed behavioural disorders in children and young people. It is a complex and contested condition, with potential causes and treatments in biological, psychological and social domains. 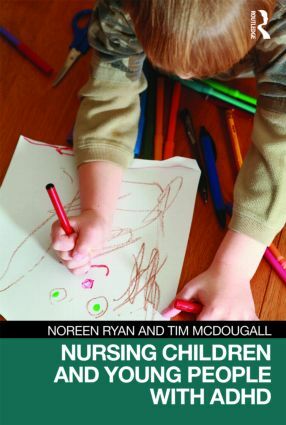 This is the first comprehensive text for nurses and other health professionals in this field. Nursing Children and Young People with ADHD explores the evidence, incorporating and expanding on the new NICE guidelines for practice in this area, to provide an essential knowledge base for practice. The text covers: causes, diagnosis, co-morbidity, user and carer perspectives, assessment, treatment and interventions (including those suitable for use in schools), prescribing and the legal background. An invaluable text for pre-registration student nurses on mental health and children branches, this will also be a useful reference work for post-registration nurses and health professionals seeking evidence-based recommendations for practice. What is ADHD, and what is not? What are the costs of ADHD? What do children, young people and families tell us about living with ADHD?